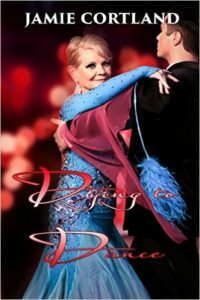 The following is a guest post by Jamie Cortland, author of Dying to Dance. Have we talked about creating characters? I hope so because if you’re ready to begin the book of your dreams, that’s exactly where we should begin. But, you say you’ve already thought of a great plot, the background, and even the background music if it becomes a movie. We want to begin with your characters. Your book should be character driven rather than plot driven. While you’re forming your characters, remember that they should be believable. Bring them to life. Don’t just describe their physical attributes; motivate them. Give them personalities, a background, strengths and weaknesses. Ask yourself how each of them make their decisions and choices. Make your readers love them or like them; make them funny or eccentric, but most of all believable. If you want your characters to be believable, be very careful with the details that you use to describe them. They should be relevant to your story as well as appropriate. Their dialogue and actions should be unique to each of them. You will notice in both Elmore Leonard’s mystery novels and Janet Evanovich’s all of their characters dialog and actions suit the characters. If you exaggerate, that’s okay. Don’t forget to describe their age, clothing, mannerisms, backgrounds, history, marital and financial status, morals and perhaps religion early in your story. Naming your characters is also important and should define the character like Mickey Mouse, Batman, or Superman. Have you noticed that there is a rhythm to names, just as there is to a poem or a manuscript? I’ve had new authors tell me that they are having difficulties thinking of names. If you are, I’m sure there are dozens of sites online listing names. By the time you finish describing and developing your characters, you will be ready to begin your journey. Enjoy it! More about the author and her work: Jamie Cortland’s Website. Weslynn McCallister, pseudonym Jamie Cortland, was born in Evansville, Indiana and raised in Roswell, New Mexico. Today, she lives in the southwest. 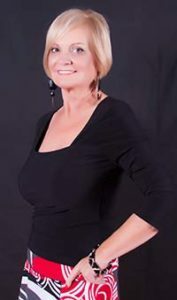 A published novelist and an award winning poet, she is a member of Sisters in Crime, the Mystery Writers of America, and is a founding member of the Florida Writers Association.